What's The Cheapest Rental Available In Fresno, Right Now? Housing costs got you down? Though apartment hunting can be frustrating, there are deals to be had. So what does the low-end pricing on a rental in Fresno look like these days--and what might you get for your money? In the sunny unit, expect to find carpeted floors, ample closet space and built-in storage features. Sadly for pet owners, animals are not welcome. According to the listing, the building is within "close proximity to nearby shopping centers, restaurants and Save Mart Center." Here's a 1-bedroom, 1.5-bathroom apartment at 5630 E Huntington Ave. in Roosevelt, which, at 985 square feet, is going for $745 / month. Building amenities include a swimming pool. 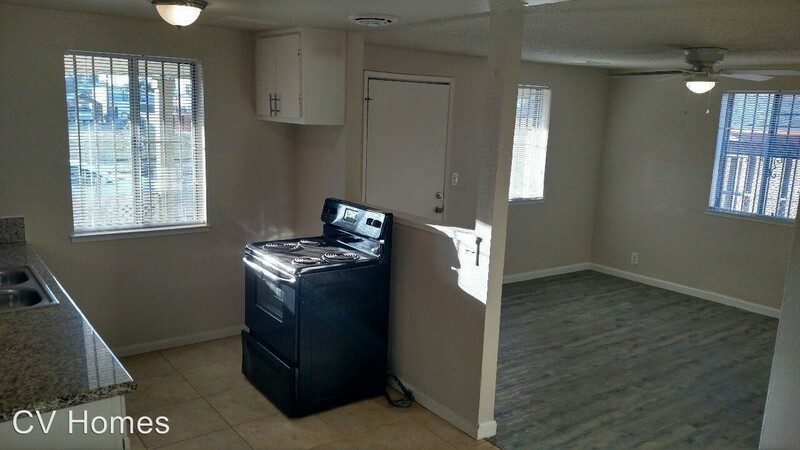 In the unit, you'll find a dishwasher, tile flooring and ample natural lighting. Luckily for pet owners, both dogs and cats are welcome. Then there's this 802-square-foot apartment with one bedroom and one bathroom at 1190 S Winery Ave. in Roosevelt, listed at $750 / month. In the bright unit, anticipate air conditioning, good storage space, a patio and a fireplace. Cats and dogs are not allowed. Building amenities include a swimming pool, a playground and outdoor space. Listed at $750 / month, this 480-square-foot 1-bedroom, 1-bathroom single-family home is located at 460 N Effie St. in Central. In the unit, expect a dishwasher, a large closet, granite countertops and a private yard. If you've got a pet, you'll be happy to learn that cats and dogs are welcome. This 1-bedroom, 1-bathroom apartment, situated at 5250 N Brawley Ave. in Bullard, is listed for $958 / month for its 642 square feet of space. In the unit, you'll find a fireplace, in-unit laundry and a mix of carpeting and hardwood flooring. For those with furry friends in tow, know that cats and dogs are welcome on this property. Amenities offered in the building include a swimming pool, a fitness center and outdoor space.